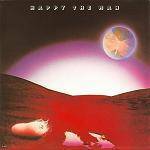 More information: The first ever UK release of the classic 1977 self-titled debut album by American Progressive Rock group HAPPY THE MAN. Formed in Harrisonburg, Virginia in 1973, the band was influenced by British progressive groups such as Genesis and King Crimson. By 1976 they came to the ear of PETER GABRIEL who considered utilising the band on his first solo album. Although this failed to materialise, the band came to the attention of Arista Records, securing a deal the same year. With a line-up of STANLEY WHITAKER (Guitars, Vocals), KIT WATKINS (Keyboards), FRANK WYATT (Sax, Flute, Keyboards), RICK KENNELL (Bass) and MIKE BECK (Drums), the band recorded their first album under the production supervision of KEN SCOTT (who had worked with Supertramp and David Bowie). Featuring pieces such as ‘Mr. Mirror’s Reflection on Dreams’ and ‘New York Dreams Suite’, the album ranks as one of the great American Progressive rock albums. This reissue has been newly remastered and features a booklet that fully restores all original album artwork with a new essay.